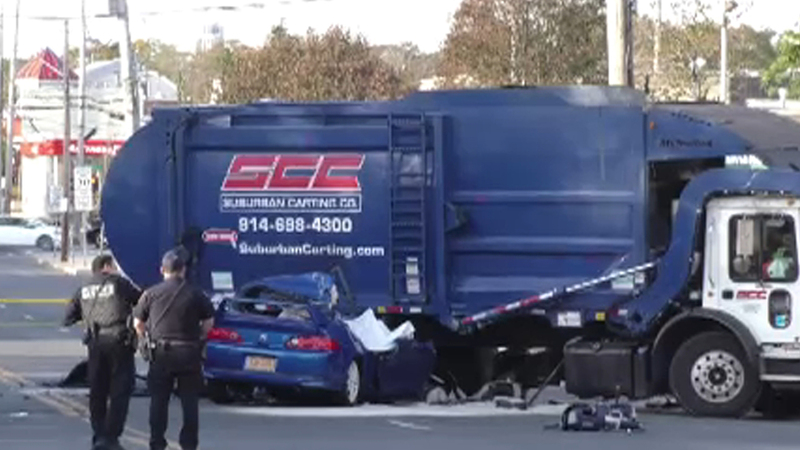 MAMARONECK, Westchester County (WABC) -- Police are investigating an accident involving a garbage truck and a car in Westchester County. Police say it happened at about 7:20 a.m. Saturday in front of 1000 West Boston Post Road, near Mamaroneck High School. There are serious injuries resulting from the crash, according to police. The westbound roadway is closed to vehicle traffic.